Is it that time already? E3 is once again just around the corner, in what promises to be another eventful show. While the long rumoured the PS4 Neo and Xbox One Scorpio hardware upgrades surprisingly won’t be at the show, VR is expected to take centre stage with the impending launch of PlayStation VR to the masses and the possibility of Oculus Rift support coming to Xbox One. Of course, E3 isn't only about hardware launches: there are plenty of high profile game releases we’re expecting to learn more about such as Watch Dogs 2, Battlefield 1, Call of Duty Infinite Warfare, Horizon Zero Dawn, Mafia III and Titanfall 2, to name a few. But we're here to talk about racing games. 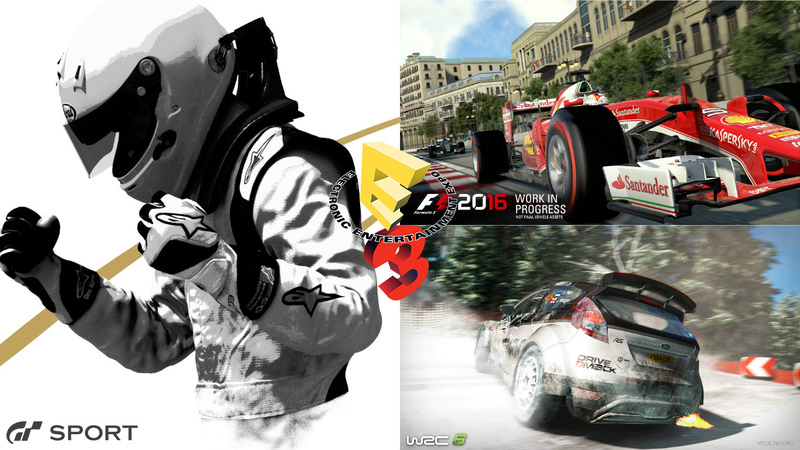 It’s already been a busy year for racing games (just read our exhaustive racing games of 2016 preview for proof), and the genre will be getting plenty of exposure at this year’s E3 with the announcement of the next Forza game, updates on GT Sport, expected gameplay reveals of F1 2016 and WRC 6 and the possibility of some extra surprises. Without further ado, here’s every confirmed racing game of E3 2016 along with our predictions. Be sure to let us know your most anticipated racing games of E3 2016 in the comments below. It’s rare to see an E3 show without a new Forza game announced. E3 2016 will be no different – Microsoft have already confirmed they will be unveiling the next Forza game rumoured to be Forza Horizon 3 in a “special Forza event,” where we’re also likely to learn more about the recently announced Forza Online Championship, an eSports league which appears to be Turn10’s answer to GT Sport. Rumours have been rife that Forza Horizon 3 will be released this year on Xbox One and PC, which isn’t too far fetched as Turn10 and Playground Games alternate between the traditional track-based Forza Motorsport and its open world spinoff Forza Horizon. Forza Motorsport 6 was released last year, potentially paving the way for Forza Horizon 3 this year. 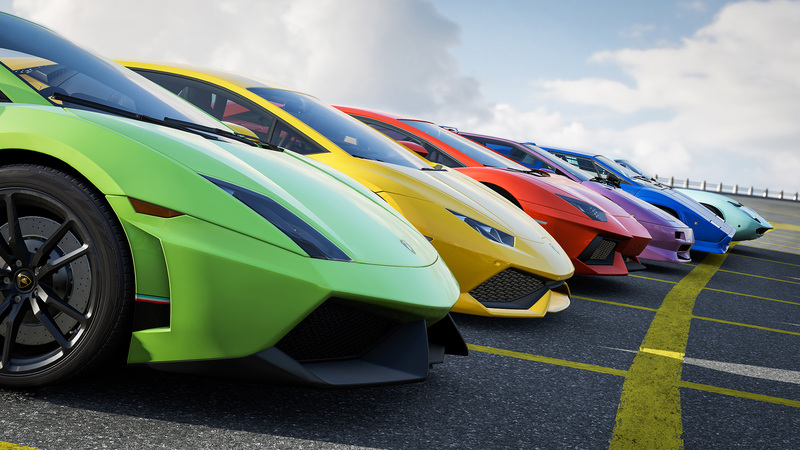 As for details, Playground Games have remained tight lipped, but they have revealed that the Lamborghini Centenario will be the cover car for the next Forza game (Forza Horizon 2 featured the Lamborghini Huracan as the cover car, if you remember), The next Forza game will also feature the “largest and most diverse car list of any video game franchise this generation.” Now that's a bold claim. 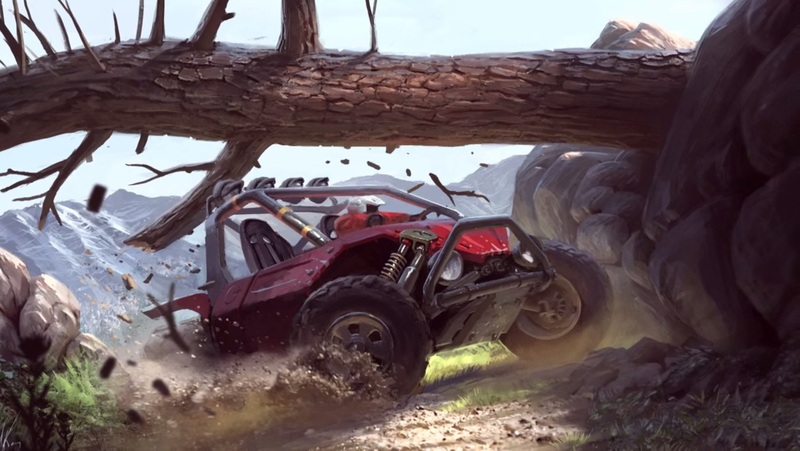 An apparent leaked video released a few months ago suggested that Forza Horizon 3 will be set in Australia, but we’ll find out next week at Microsoft’s E3 conference. With its dated graphics, small car count and no dynamic time of day or weather, reaction to Gran Turismo Sport’s reveal event has been frosty. Indeed, Gran Turismo Sport seems to be struggling to keep up with the competition in key areas – particularly in the graphics and audio department. E3 2016 is therefore a chance for Sony to win back support for Gran Turismo Sport and further explain why its central FIA-endorsed online championship will be so revolutionary. Weirdly, Sony have already released Gran Turismo Sport’s E3 trailer ahead of the show, and it’s safe to say it’s a vast improvement over the lacklustre reveal trailer which failed to do the game justice and was a far cry from the cinematic treats we’re used to in GT trailers. Indeed, it actually resembled a Gran Turismo trailer, complete with the familiar Moon Over the Castle theme. With so many details already revealed, we’ll have to wait and see how Sony promote GT Sport at E3, but with a release set for November it’s a safe bet that GT Sport will feature at Sony’s E3 conference. As Assetto Corsa gears up for its console debut this summer, E3 is a vital opportunity for Kunos Simulazioni to promote their sophisticated racing simulator and win over new fans. Originally, Assetto Corsa was going to be released on PS4 and Xbox One in early June ahead of E3 before it was delayed until August 26th. Assetto Corsa is part of the new breed of racing simulators being ported to console to compete with Gran Turismo and Forza Motorsport. The console version, which required a complete graphics rewrite, will feature the same exquisite physics engine which is regarded by some as the best in the genre, 90 cars including the Pagani Zonda R, Ferrari LaFerrari and Mercedes C9 and 27 track configurations such as Silverstone, Spa, Monza and the Nurburgring Nordschleife. 505 Games have confirmed that Assetto Corsa will be playable on the show floor. It seems likely that we’ll see some new footage of the console version in the run up to its release, but there could still be some other surprises. With the recent release of the Japanese Car Pack, Kunos Simulazioni could still surprise us with new content announcements. We knew it was coming, so Codemasters’ announcement of F1 2016 didn’t come as a huge surprise. However, from the features revealed so far F1 2016 looks to be a solid entry that improves on F1 2015 in a number of ways – even if some of its features aren’t necessarily new. Career mode is back after being absent in F1 2015 due to developer deadlines with the option to play through ten full seasons, the safety car is making a return and the new Baku street circuit will make its game debut. 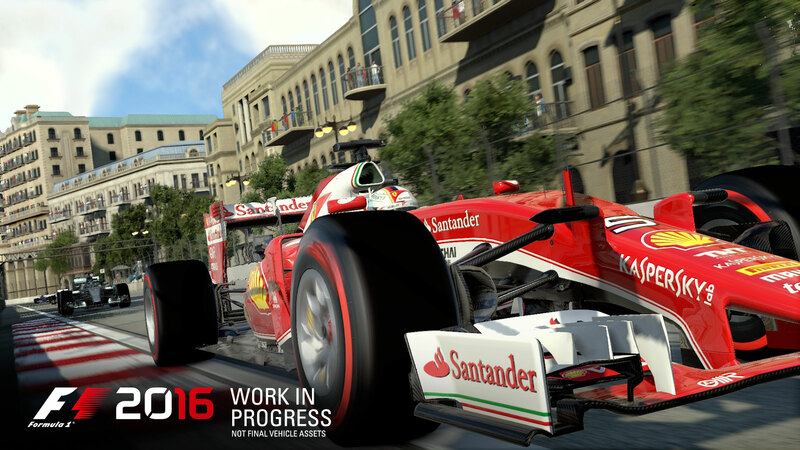 We’re expecting to see the first gameplay trailer for F1 2016 around E3 along with a release date. With the release of Sebastien Loeb Rally EVO and DiRT Rally, it’s been a competitive year for the rally genre. And now there’s a third rally game entering the fray with Kylotonn Games’ WRC 6 due for release later this year. Of course, WRC 6 has the advantage over its competitors of being an officially licensed game: this means you can expect tonnes of fan-pleasing content, with 14 locations and all the official cars and drivers from this year’s championship. Kylotonn have also taken community feedback from WRC 5 into consideration whilst developing WRC 6, resulting in noticeably narrower, longer stages in comparison to WRC 5’s unrealistically wide open stages which was one of the main criticisms in our WRC 5 review. We’re expecting to see the obligatory reveal trailer, plus plenty of gameplay footage as WRC 6 will be on show at this year’s E3. You have to commend Milestone’s output. 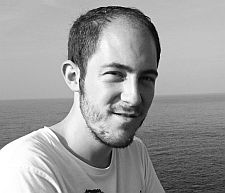 We’re only halfway through the year, yet Valentino Rossi the Game is the fourth game released by the Italian developer this year. Valentino Rossi the Game is essentially MotoGP 16 with extra Valentino Rossi-themed content: not only do you get access to the official MotoGP 2015 and 2016 championships along with plenty of historical MotoGP content, but also extra disciplines connected to Valentino Rossi’s career including Flat Track racing, Monza Rally and drifting events. Milestone will be at E3 showing off Valentino Rossi the Game ahead of its release next week. We’ve already got access to the game and will be bringing you plenty of Valentino Rossi the Game content in the coming weeks. We’ve been eagerly anticipating Moto Racer 4 for some time now. With Milestone churning out an obscene number of bike racing simulation games this year (no less than four to be exact, with MXGP 2, Ducati 90th Anniversary, Valentino Rossi The Game and Ride 2), there’s a clear gap in the market for a fast-paced arcade bike racer, as the success of DriveClub Bikes has proven. Moto Racer was once the quintessential arcade bike racing game on PC and consoles that perfectly encapsulating the high speed thrills of biking without a steep learning curve to put off players more accustomed to car racing games, featuring dirt and road bike races against traffic. Now the series is making a comeback for the first time in eight years with Moto Racer 4 developed by Microids and Artefacts studios, with original series creator Paul Cuisset also on-board. With plenty of game modes, bike and rider customisation and even PlayStation VR support confirmed, it’s hoped that Moto Racer 4 will be a triumphant return for the series. 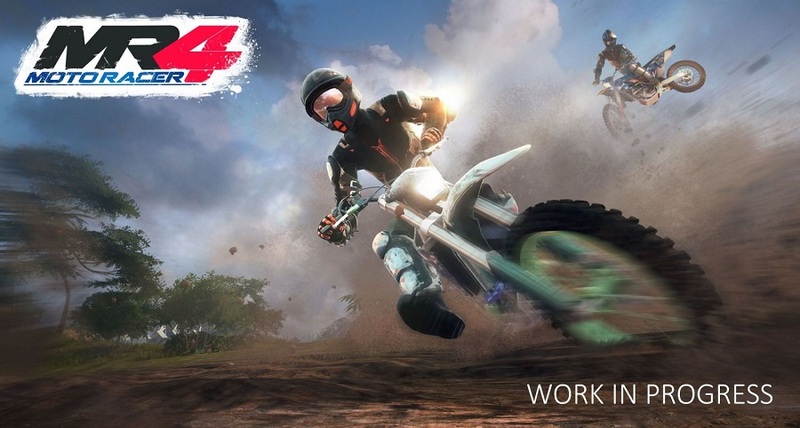 We’ve yet to see Moto Racer 4 in action aside from a few work in progress creenshots and a teaser trailer, but Microids and Artefacts studios will be at the show so expect to see plenty of Moto Racer 4 content emerge next week. 34BigThings are also currently accepting signups for a RedOut closed beta due to start in a couple of weeks. The recently announced Ride 2 promises everything you would expect from a bike racing game sequel: more bikes, more tracks and more modes. Indeed, Milestone are promising over 220 motorcycles covering a number of classes including the debut of Two Strokes, Supermotards and Café Racers, deep customisation with access to 1200 parts and new tracks including the fearsome Nürburgring Nordschleife. 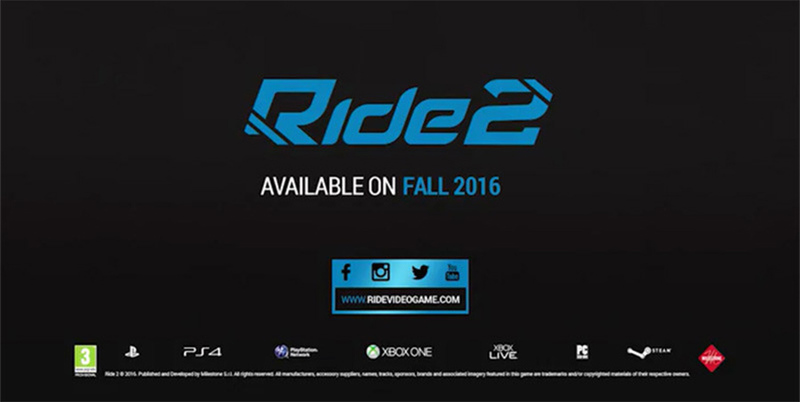 It’s unlikely that Ride 2 will be playable at E3 given that it’s only just been announced, but Milestone still might show off some gameplay at the show. At the very least we’re expecting to see the first gameplay trailer released around E3. The controversial Carmageddon car combat series is making its console comeback next month with Carmageddon Max Damage, bringing back its old school formula of pedestrian ploughing, OTT vehicles and crazy powerups. Carmageddon Max Damage will let you run rampant in free roaming environments, where no beach babe, nun, wheelchair user or cheerleader is safe. 30 modified killer cars will feature along with 90 powerups to wreak havoc with. It's not known if Carmageddon Reincarnation will make an appearance at E3 2016, but developer Stainless Games have launched an intriguing #ProjectEvil social media campaign which seems to involve them creating a custom car based on the game. No doubt we'll find out more at E3 next week. During E3 2014, former Burnout and Need for Speed developer Criterion Games announced their new project tentatively known as Beyond Cars. An open with an emphasis on extreme sports featuring a multitude of vehicle disciplines boats, ATVS, helicopters and even wingsuits along with cars, Beyond Cars had plenty of potential from a developer very adept at making intense arcade racing games. Sadly, Criterion have been silent about the promising project ever since its announcement. 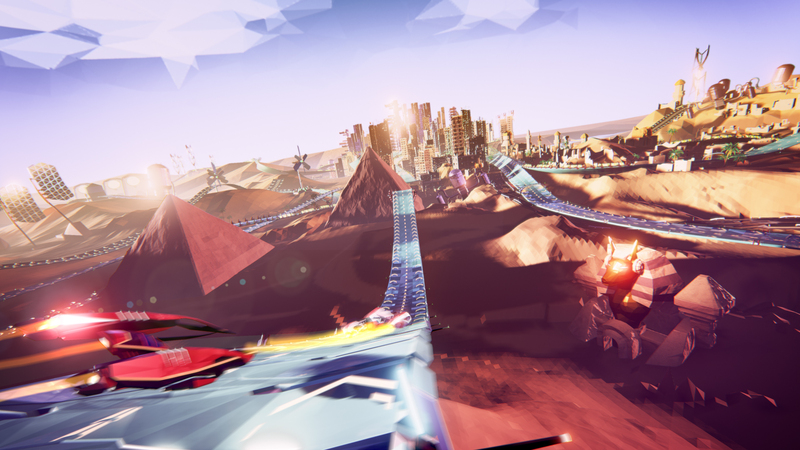 However, a few months ago they confirmed that Beyond Cars hasn’t been canned, which gives us hope that it will make a belated comeback at this year’s E3. Ivory Tower’s ambitious open world racing MMO has come on in leaps and bounds since its release in 2014. 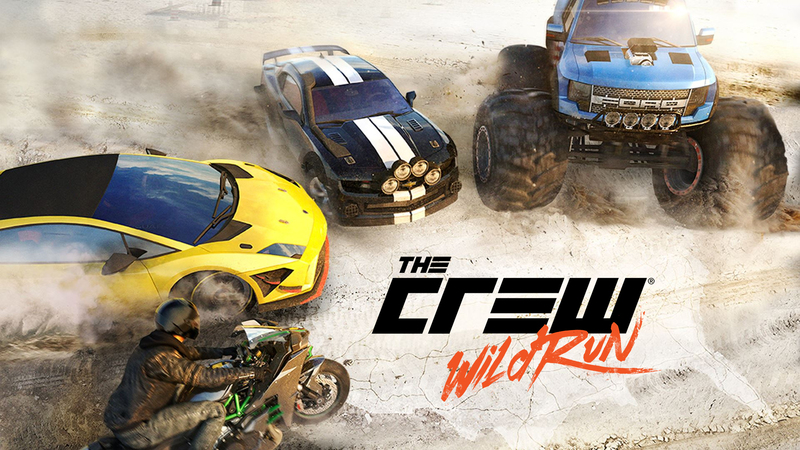 Last year’s E3 saw Ubisoft surprise us with The Crew Wild Run, an expansion adding new vehicle disciplines in the form of bikes, dragsters and drift spec cars along with a patch that gave the game a much needed graphical makeover. Monthly updates have helped keep the game fresh this year with new game modes, events and cars. However, since surpassing five million online players Ivory Tower has said that there will be no major updates for the next few months as the team prepares new content to be released at a later date. We have a sneaking suspicion that this new content will be another major expansion to be revealed at E3. With all the new specs added in Wild Run, it could possibly be a map expansion – perhaps those borders preventing you from entering Mexico are about to be removed. 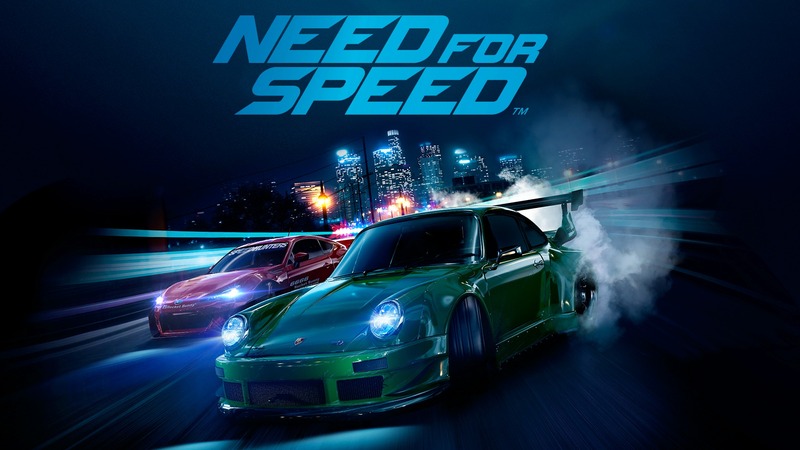 Need for Speed has traditionally been a regular feature at EA’s E3 press conference, but this year it’s looking unlikely we’ll see the next iteration of Need for Speed. After last year’s lacklustre reboot, Ghost Games must be having a rethink over the direction to take the long-running racing franchise next. A new Need for Speed game has already been confirmed to be in development with a release set for 2017, so there’s a slim possibility we might see an announcement, but we probably won’t see any footage of the next Need for Speed until next year’s E3. Mario Kart 8 has received unanimous praise since its launch in 2014 on Wii U, which has helped cement the podgy plumber’s reputation as the reigning karting king. Nintendo have also kept players engaged with an extensive DLC plan, with Animal Crossing and Zelda crossovers and some sinful Mercedes-Benz product placement. A recent Tweet by Nintendo has suggested there may still be more life in Mario Kart 8 yet, teasing that “good things come to those who wait” with an image of Kalimari Desert; an iconic track which first featured in Mario Kart 64. 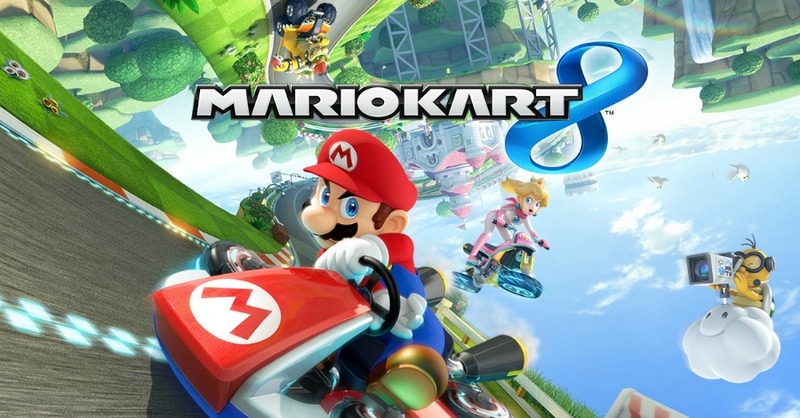 Mario Kart 8 features a number of tracks from classic games in the series, so it wouldn’t be surprising to see Kalimari Desert make a comeback, particularly as it featured in Mario Kart 7 on the 3DS. What are your most anticipated racing games of E3 2016? Let us know in the comments below.